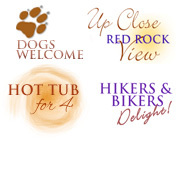 Sedona's Red Rock Realty offers quality Sedona Vacation Homes, available year round, at a cost less than most resort or hotel accommodations in the Sedona, Arizona area. 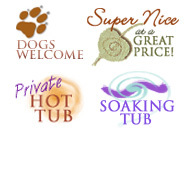 All of our Sedona rental homes are completely furnished, include all linens, have fully equipped kitchens and laundry facilities, some have hot tubs, pools and fireplaces. Many have views of Sedona's famous red rocks. 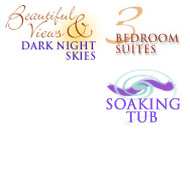 Each home has been thoughtfully appointed to make your stay comfortable and memorable. So whether you're looking for luxury accommodations or an inexpensive abode, you're invited to come and stay with us on your next visit to this truly magnificent part of the world. 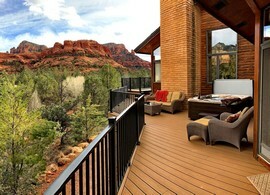 Let Red Rock Realty help you make your next Sedona stay a truly unique experience. A unique hacienda style abode, this very private property is surrounded by vegetation with perfectly placed red rock views from inside and out. Arboleda provides stylish interiors along with super outdoor spaces to relax and unwind including a private pool and hot tub. 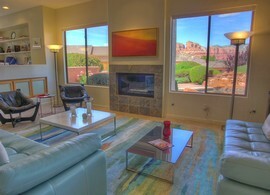 Enjoy expansive red rock views from inside and out from this perched up-high spacious four-bedroom home. All will enjoy this private retreat in a quiet residential Sedona area that's just a short walk to Broken Arrow and Margs Draw trailheads. Red rock views in two directions are yours all day long from this fabulous vacation getaway in the centrally located Chapel area. Carefree has a modern open concept living area and an abundance of outdoor space to sit and relax when not out exploring the canyons or galleries on your next visit to Sedona! A comfortably decorated private home in a quiet residential neighborhood in the Chapel area of Sedona, Chapel View provides an excellent view of the famous Sedona landmark, the Chapel of the Holy Cross and the red rocks that surround it from inside and out. 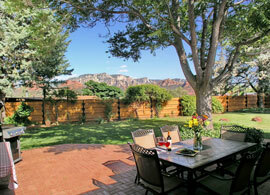 Enjoy quiet, outdoor spaces with wonderful red rock views from this super comfortable property in Uptown Sedona. Take a soak in the hot tub, barbecue a feast and sit back while enjoying sunrises and sunsets on the red rocks in two directions. Copper Star is thoughtfully decorated, providing comfort and style throughout. It's easy to feel right at home while visiting this unique Sedona retreat. A quaint bungalow, situated under towering Cottonwood and Sycamore trees, is less than a minutes’ walk to Red Rock Crossing and the ever present waters of Oak Creek. 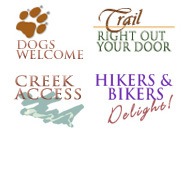 Hiking trails and swimming spots are right out your door! What a way to enjoy a Sedona retreat! Feel instantly at home in this sweet abode in Sedona’s Chapel area. A two-bedroom home, Desert Rose offers an open concept living space with views of the red rock neighbors along with nice outdoor places to sit, relax and enjoy your next visit to Sedona Arizona. A special place to call home while visiting Sedona, Heartsong is that perfect getaway for those seeking a quiet, relaxing space with those extras so many desire. Located in a quiet neighborhood in West Sedona, Heartsong is only a few minutes from everything and provides that peaceful retreat from it all experience. This uniquely designed Sedona home perched up high on the side of Airport Mesa provides fabulous panoramic views of the red rocks from north to south, inside and out! Just a short walk from the Airport vortex and great trails! Perched up high for superb red rock views, this beautifully decorated home offers lots of super outdoor spaces to enjoy while providing spacious and comfortable Uptown Sedona accommodations. An in demand property, so reserve early! 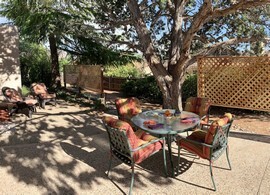 An adorable West Sedona property, Mi Casa is that perfect place to call your home away from home on your next visit to Sedona. At Mi Casa you will enjoy comfortable interiors with accommodations for up to four plus a shady outdoor patio with lots of seating. Sensational high up views of Sedona’s red rocks from inside and out, this beautiful property provides the perfect place to sit back and soak up the panoramic horizon from sunrise to sunset. 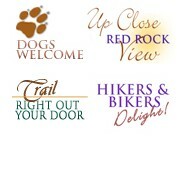 Panorama is within a short walking distance to the shops and restaurants of Uptown Sedona. A spacious getaway retreat home nestled against the beautiful green fairway of the Oak Creek Country Club. Enjoy an excellent outdoor living space and a fabulous view of House Rock. Life is good living like a local in comfortable Quail Crossing style. 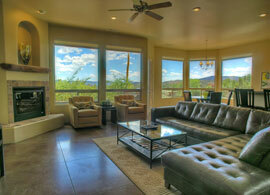 This comfortable uptown Sedona home offers fabulous views from inside and out! Quietude's private outdoor space features a patio with dining area and gas barbecue grill, a six person hot tub and a large enclosed grassy yard, all with superior views. Living like a local is made easy at this comfortable vacation getaway home. Spacious and loaded with lots of extras to entertain yourself while at home, Red Butte has excellent ring side seat views of the giant red rock formation called Red Butte, along with outdoor seating on two patios and a large downstairs game room. A beautiful golf resort home, Rose Glow is bright and open with an expansive vista view of the red rocks from inside and out. A spacious two bedroom home, Rose Glow offers a modern open concept interior along with a private pool and great outdoor living spaces to relax and unwind when not out and about enjoying all that the Sedona area offers. This very private, historic red rock home offers magnificent views of Cathedral Rock and the surrounding red rocks from inside and out. You are sure to enjoy this properties’ elegant yet rustic southwest interiors along with a private pool, hot tub and many outdoor patio areas. This is truly red rock country living! 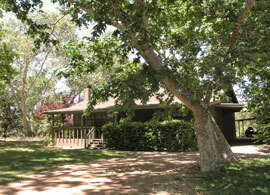 Come home to a beautiful West Sedona location! Enjoy stylishly contemporary interiors while being wowed by a wide angle wilderness view from the main floor open concept living space and master suite. Let your Sedona experience begin! Spacious home in quiet Village of Oak Creek neighborhood, Terra Nova offers perfect accommodations for those seeking comfort and style at a price that won’t break the budget. Life is good at Terra Nova! A perfect place to relax and unwind, this lovingly decorated home offers a quiet peaceful outdoor patio area and grassy green rear yard. 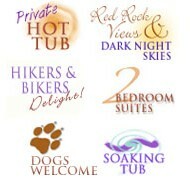 Enjoy outdoor dining or a long soak in your private hot tub while the red rocks keep your constant company! Lovingly decorated vacation getaway in a quiet location in the Chapel area of Sedona, within walking distance to trails and the Chapel. 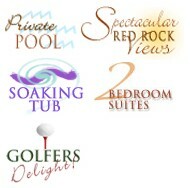 Enjoy your own home away from home for your next stay in Sedona.